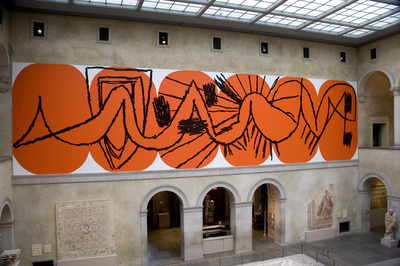 Here is an image of Charline von Heyl's freshly completed "Wall at WAM" mural at the Worcester Art Museum. 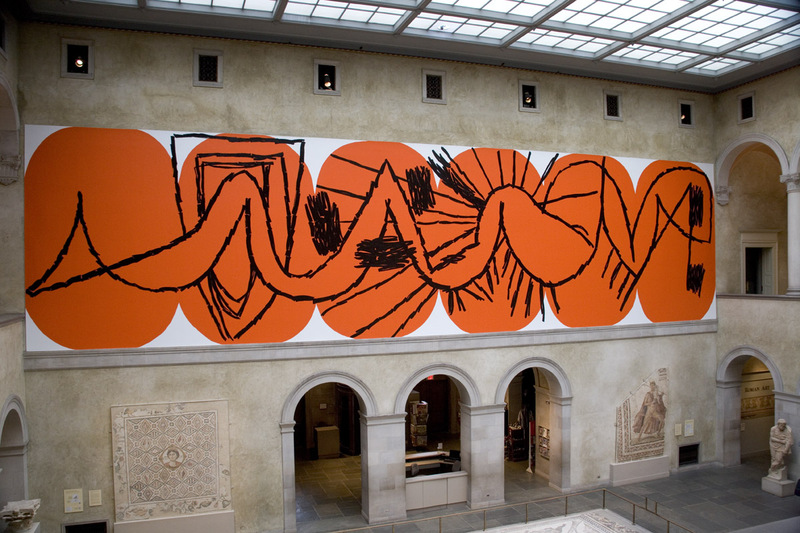 The work was inspired by an Ellsworth Kelly painting in the museum's collection, "Orange White," which will be on view beginning February 17 in WAM's new late 20th Century galleries. To me, the work also has overtones of Matisse's late drawings for the chapel at Vence. I haven't seen it except in reproduction (it was finished only yesterday), but it's got me interested, and I plan on making it back out to Worcester and its brilliant collection as soon as possible.